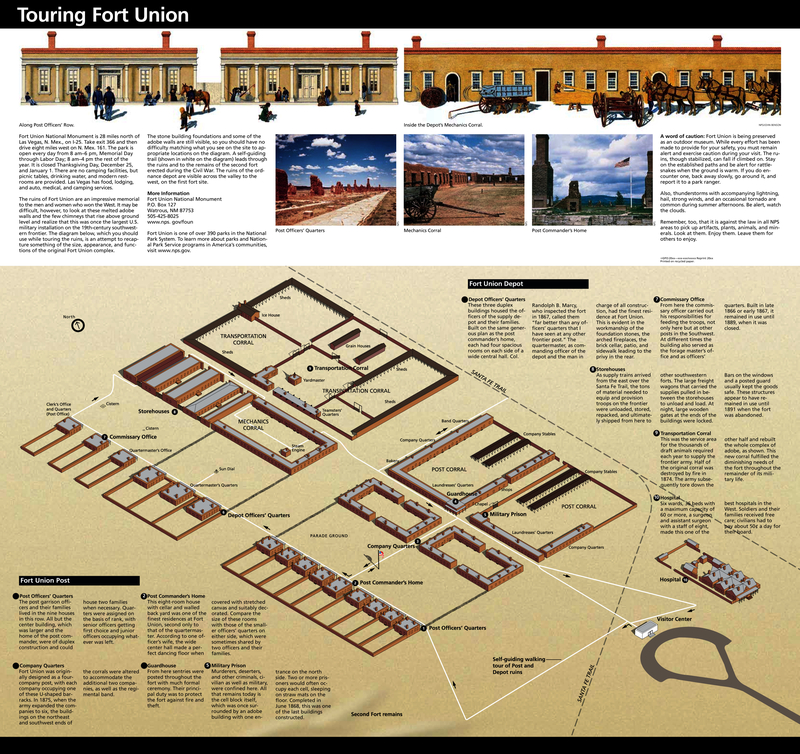 Fort Union National Monument is located 24 miles north-northeast of Las Vegas New Mexico. September and May are the best months to enjoy this activity. 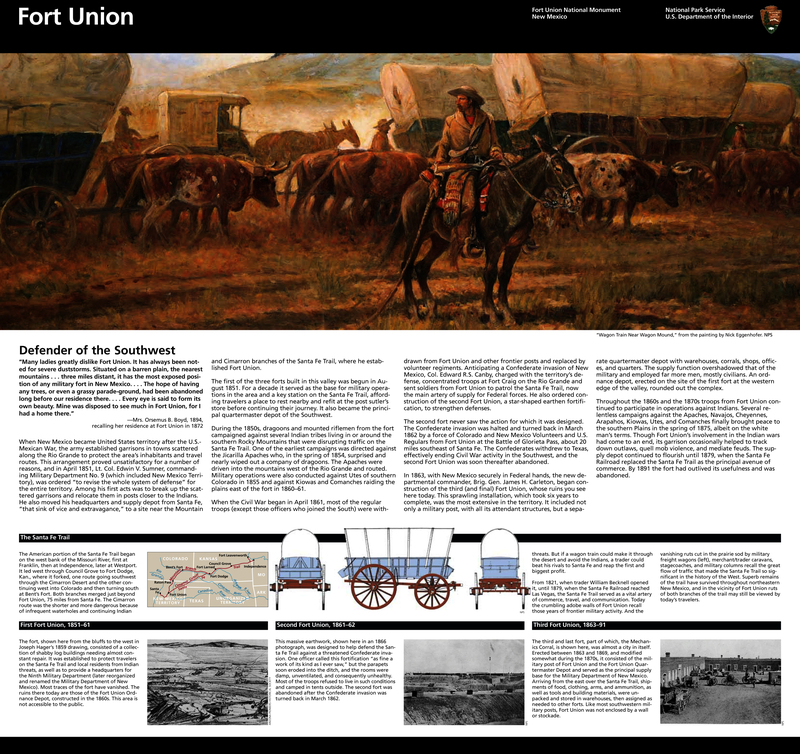 There is a visitor center with exhibits about the fort and a film about the Santa Fe Trail.